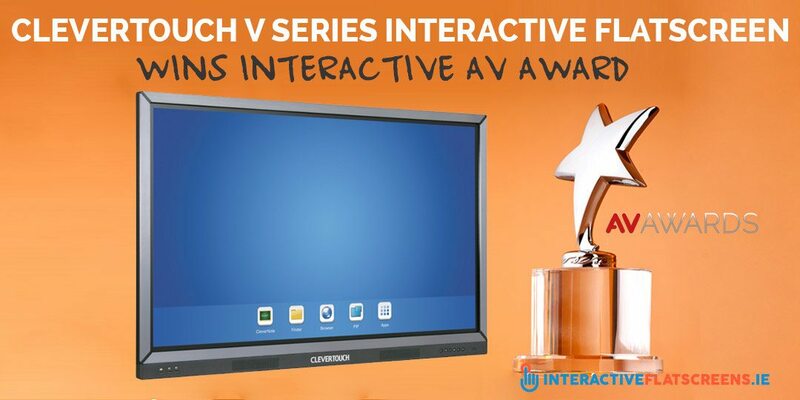 CleverTouch V Series Interactive Flatscreen Wins Interactive AV Award! On 30th of September 2016 was the 18th edition of the AV Awards. The AV Awards were established to recognise and reward excellence across the Audio-Visual industry. As one of the leading suppliers of audio visual and interactive flat screen equipment to schools & businesses in Ireland we paid close attention to the awards. CleverTouch V Series – AV Award Winner! 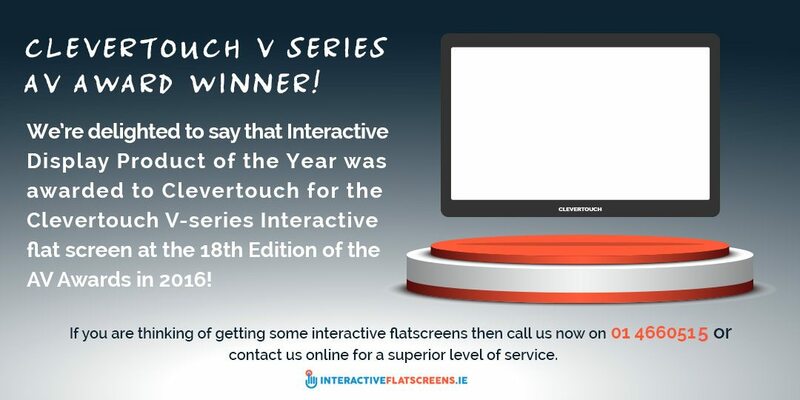 We’re delighted to say that Interactive Display Product of the Year was awarded to Clevertouch for the Clevertouch V-series Interactive flat screen. at the AV Awards. Clevertouch is well known for its high performance and overall stability within the education sector. Toomey Audio Visual supply and install the complete range of Clevertouch Interactive Flat screen displays to schools throughout Ireland. The Clevertouch comes with integrated Android platform (bit like a tablet) so it’s easy to use straight out of the box. A 5-year manufacturer’s warranty makes it the best solution on the market for schools who are looking to enhance their ICT offering. Toomey Audio Visual has been supplying Irish schools with audio visual equipment for 50 years. In that time, we have built a reputation for quality, service and back-up support which is unparalleled. When you purchase from Toomey Audio Visual, you benefit from a team of expert audio visual demonstrators, installers, technicians, trainers and support technicians who specialise in managing AV equipment specifically in an educational environment. Considering ICT Equipment For Your School? 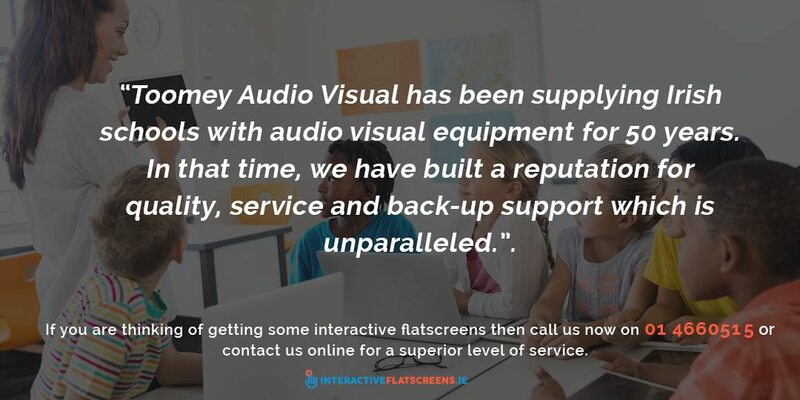 When you are considering investing in AV & ICT equipment for your school it is worth considering the proven track record of your supplier within the AV industry and of course the level of after sales service you will receive. Give your classroom the technology it deserves with an ‘award winning’ Clevertouch Interactive Flatscreen! Call us now on 01 4660515 or contact us online for a superior level of service.